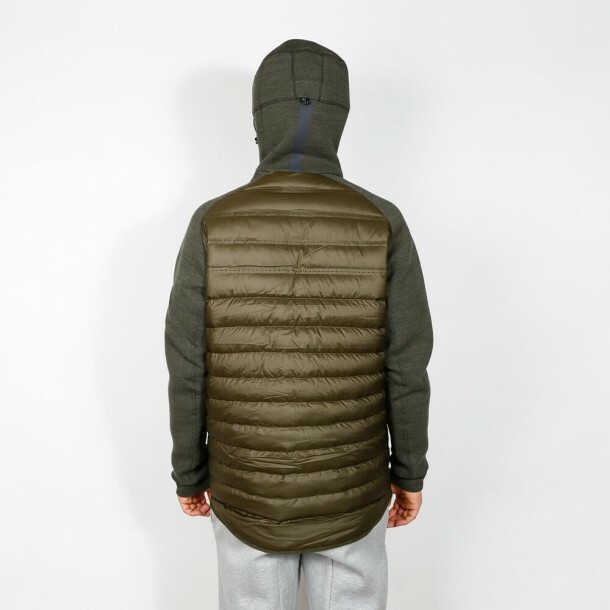 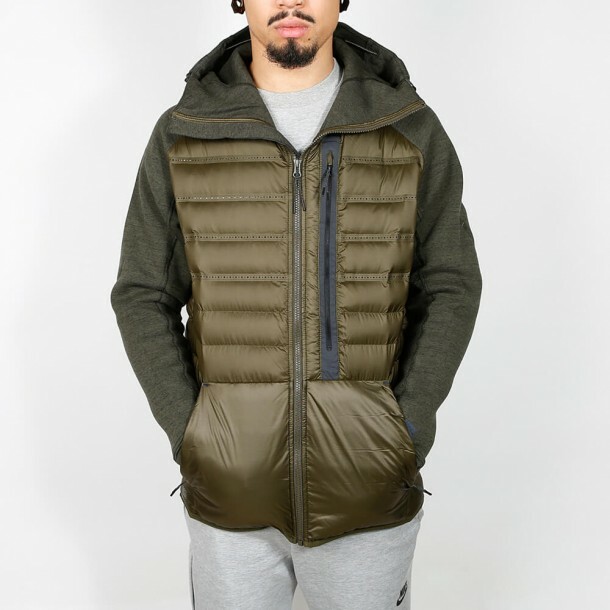 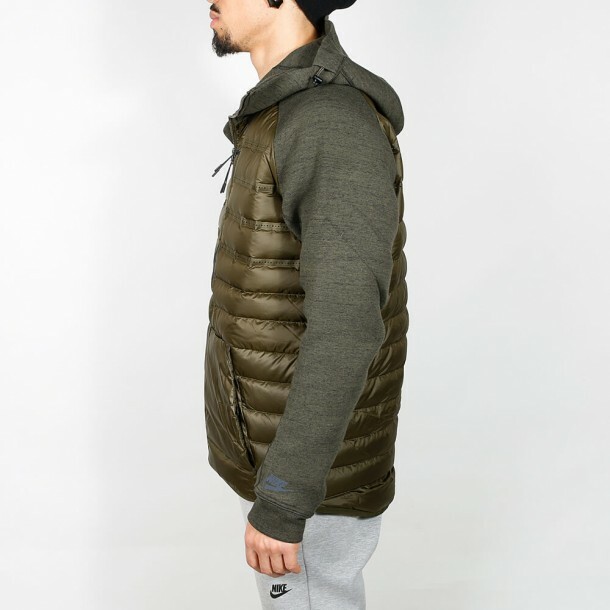 The Holiday 2015 Nike Tech Fleece Aeroloft Collection has got a lot of new athletic silhouettes in the form of functional outdoor clothing in store, just like this khaki Aeroloft jacket for men. 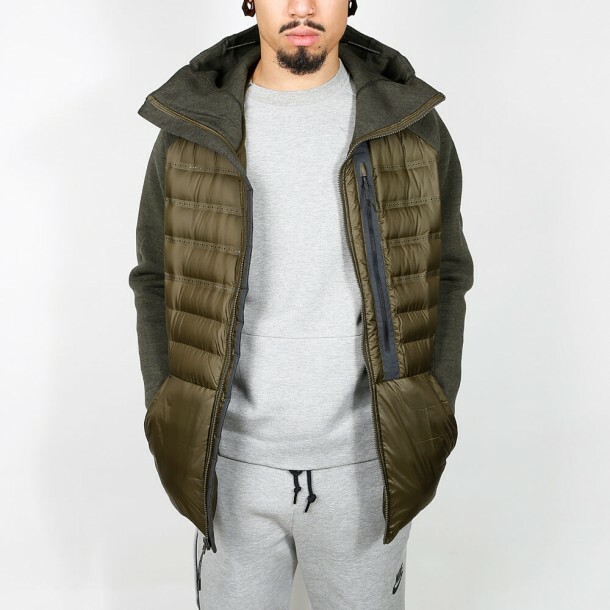 The Tech Fleece clings to your skin and keeps you warm due to its three-coat material. The down coat at the front and at the back have got perforated chambers that make the Aeroloft jacket both breathable and thermo-regulating.